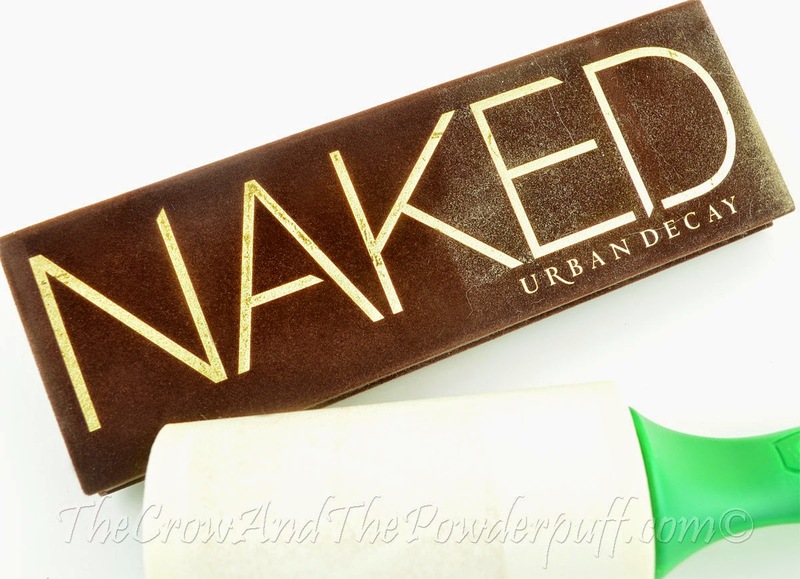 The Crow and the Powderpuff | A Creative Makeup & Beauty Blog: How To - Clean the Urban Decay Naked 1 Palette Cover, and Other Velvet Palettes! 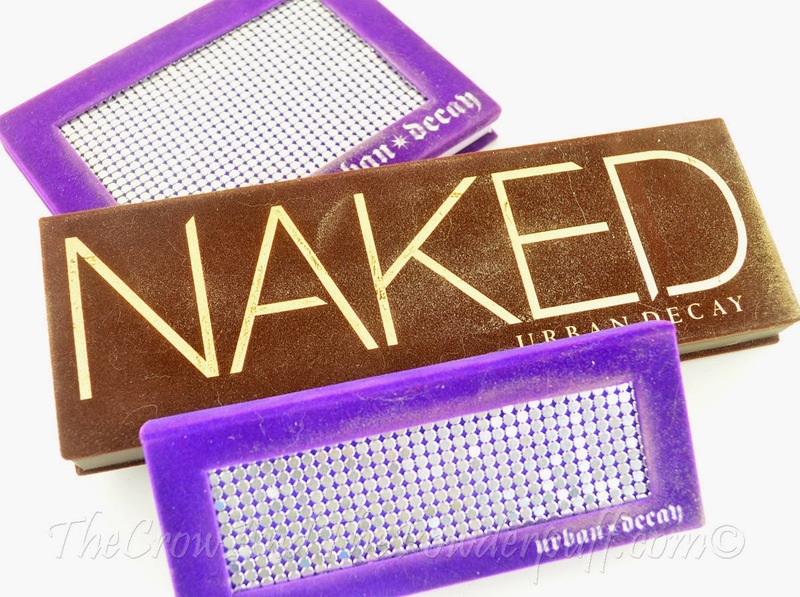 How To - Clean the Urban Decay Naked 1 Palette Cover, and Other Velvet Palettes! I don't know about you, but I absolutely love the Urban Decay Naked 1 Palette. It's a fantastic go to palette for your neutral or smokey looks, it's great for travel too (at least for the size and variety of shades)! My one gripe about it? It's case is made with velvet material! Don't get me wrong, I think it's a nice looking palette... but velvet is the WORST for grabbing hold of any little dust particles or pet hair that happens to be in the general vicinity of it. I could leave this on my vanity for like one day and it would collect ALL THE (dust) THINGS. If you own the older Urban Decay Palettes then you also have velvet on those, so now you have even more palettes collecting dust if you happen to forget about it sitting around (I do this often). Also taking these on a trip? You might want to wrap them in a protective plastic and make sure you dust the table/vanity you're thinking of setting them down on first. I happen to have the Ikea Alex drawers and even though those are fantastic for holding all my makeup, the drawers have a large gap so dust can still get in even if I put them away. So now I've got to keep cleaning my makeup in the drawers as well. I'll have to build some drawer dividers and cover up the gaps to avoid so much dust getting in. Anyway, I've been doing this for a while and just now figured maybe I should post about it because why not? Couldn't hurt to throw some information out there that someone might not know about yet. My secret? Two words... LINT ROLLER! So head off to the store if you don't happen to have a friendly little Lint Roller around, this is your best friend to stave off those evil little dust balls. I just take it and roll over the front of my palettes and anywhere else they may have gotten dust/pet hair on them and voila! Pretty much good as new on the outside minus a little bit of pulling up of the gold letter (not much of a price to pay for a clean palette case though right? Although If you press lighter it might not come off at all). 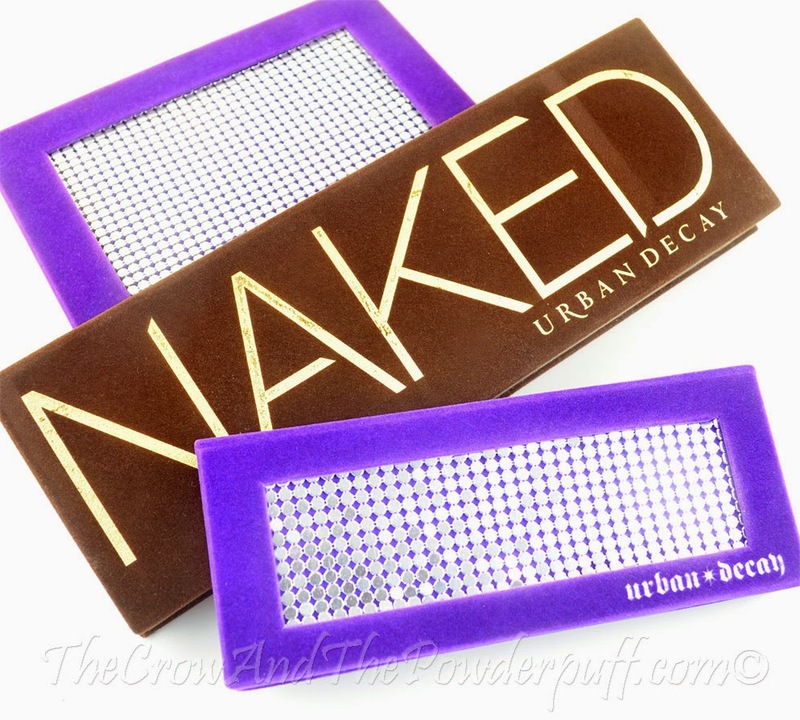 Clean Urban Decay Naked Palettes! I hope this has been helpful and I hope you're all having a fantastic day! Have any tips? Share them in the comments! This is the best thing I ever learned. I am so glad you shared this with me. I keep mine in a clear pencil bag. I just got Modern Renaissance for Christmas and was already worried about keeping it clean, before I even took it out of the box! So glad I googled tips and found yours. :) Thank you!